The Iranian president also lashed out at the Trump administration for imposing travel ban for citizens of six Muslim countries. President of Iran Hassan Rouhani on Friday strongly criticized US President Donald Trump for recognising Jerusalem as Israel’s capital and said that he would not had dared to make the declaration if Muslims around world had been united. Roushani made the statement while addressing a large congregation of Muslims during his visit to Makkah Masjid in Hyderabad. Rouhani while addressing the congregation called for unity between the Shia and Sunni sects of Islam. 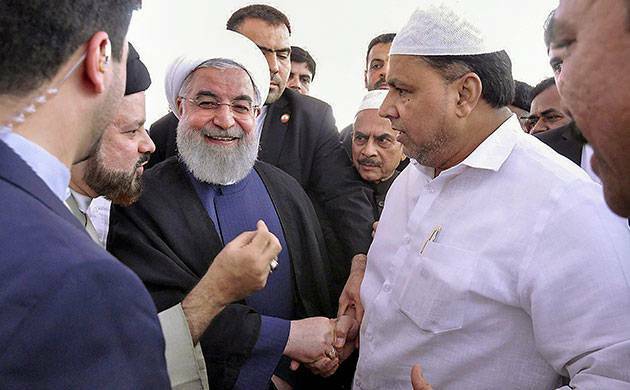 “Shia and Sunnis and people from other ethnicities coexisted peacefully in Syria and Iraq for centuries till the West created a friction between them,” added Rouhani. Last year in December Trump had announced that the US recognises Jerusalem as Israel's capital. The US president then had described the move as “a long overdue step” to advance the Middle East peace process. Israel then had termed Trump's move "historic" while Palestinian President Mahmoud Abbas called the announcement "deplorable". Rouhani is to meet PM Narendra Modi in New Delhi on Sunday.